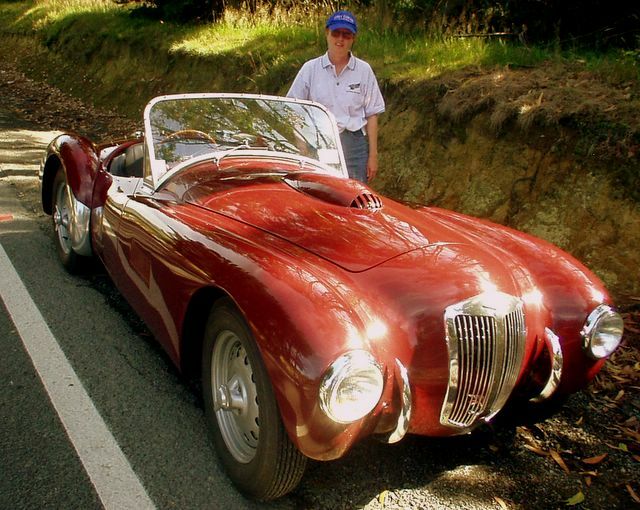 I had no idea when I bought my Frazer Nash "project" in December 1975 that I would not drive it until February 13, 2005 and then only down a driveway in Invercargill, New Zealand, but that’s exactly what happened and still, it felt timely and right! 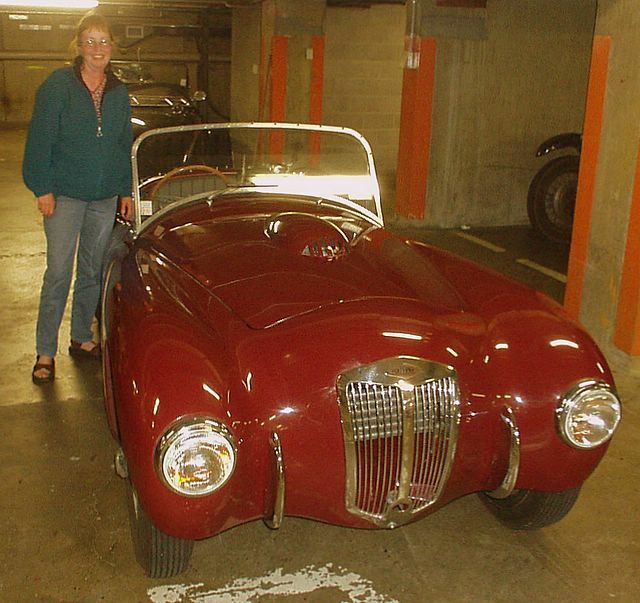 So after 29 years of owning this totally inoperable car, I sent it, a 1952 Frazer Nash Mille Miglia, to Barry Leitch (Leitch Motorsport and Restorations, Ltd) in Invercargill, New Zealand by ship in mid-July, 2004. It arrived in September. 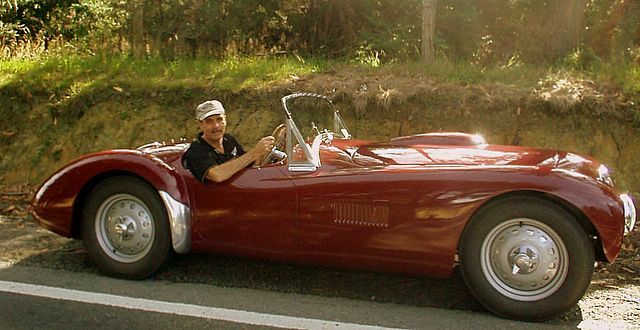 At that point, Barry was to complete the body and chassis work, the engine would be sent from Honolulu and the car would then be completed to join the Frazer Nash Raid on the South Island in mid-February 2005. The schedule would be met, but Barry also took on the engine rebuild. 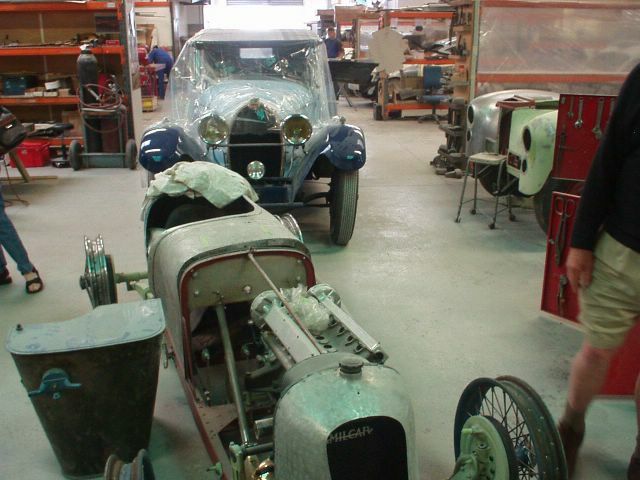 In retrospect, the actual completion was an amazing accomplishment, but the details are in a separate "restoration story" – on the Frazer Nash website. 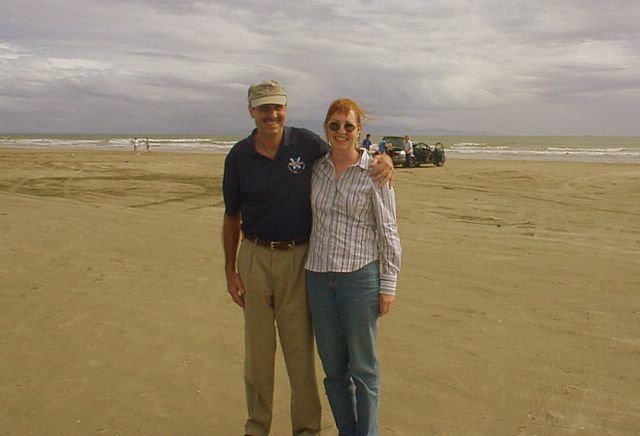 The immediate "before the Raid" story has Shannon and I flying from Los Angeles on February 9, 2005 through Tahiti, arriving in Auckland before noon on February 11. We settled in our hotel and had a whirlwind tour of Auckland on Friday and Saturday, by foot and bus. On Saturday we also changed Sunday’s original flight to Invercargill to an earlier one, so that we could arrive in time for the last Southern Festival of Speed races at the Teretonga track. Marguerite Leitch met us at the airport; we arrived at the track early in the afternoon where we first met Barry. He immediately reported "It’s running! ", meaning he had just called his shop and heard the Bristol engine in the Frazer Nash running for the first time on his cell phone. Great news! The races were much fun. We left the track with Marilyn, who showed us Oreti Beach and parts of Invercargill. Barry’s shop is behind his house on the northern edge of Invercargill. Sunday about dusk, I saw the car and sat in it for the first time, after 29 years of ownership. It started right up and I drove it just up and down Barry’s driveway. During the next few days, Barry and his crew worked on final details – re-doing brake linings, making air cleaners, getting the wipers to work – while waiting for full New Zealand registration to come through. Barry made numerous calls to the AA, Wellington and other offices, but this registration took nearly four days. On Monday late, Howard Kingsford-Smith came in to rub out the paint done by his shop and worked all night with Brasso. Over the next few days, I waxed and polished with various ointments in the shop and the paint looked great. I can't wait to put a final coat of wax on it! Barry and the crew - working on everything else! We left Invercargill just an hour after all the licensing paperwork was done, about 6 pm on Thursday, February 17. The car had a real, permanent New Zealand registration number - CMC 149 – could almost pass for a proper, period UK number! Barry was just a few minutes behind us with his race trailer, heading to the next Festival of Speed event in Timaru. We stopped for gas in Gore, just 35 miles from Invercargill and Barry's trailer passed us there and said they would stop to eat soon - we pressed on, without dinner. Up to our departure, we had logged only 30 break-in miles on the car, all on the back roads near Barry’s shop. 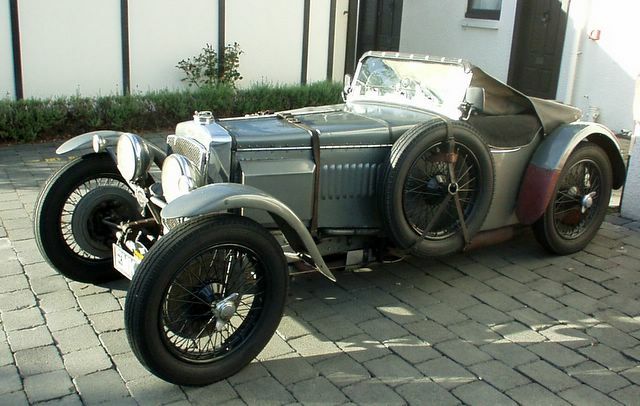 The Frazer Nash was fully loaded – Shannon’s large suitcase easily fit in the trunk, but this did not leave much other space. 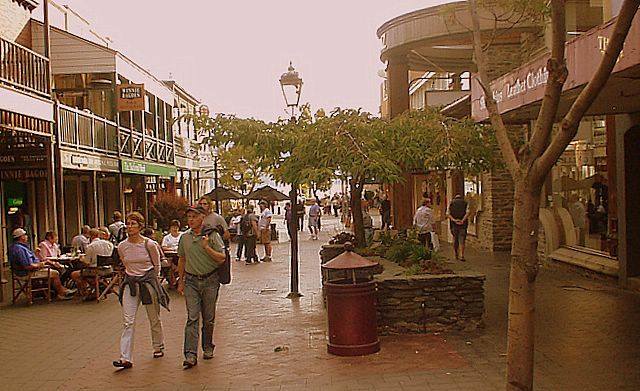 Our next destination was Christchurch, planning to join the Raid in time for the "spit-roast" on Friday, but we did not have a firm goal for Thursday night. That was good – the trip turned out much different than planned. After the stop in Gore, I noticed the ammeter was not showing any charge. We had not paid much attention to this during the break-in running, so I wasn’t sure if we had a faulty gauge or a different problem. When I put the headlights on, the gauge showed a definite discharge. No problem – it remained light until we were north of Dunedin. At least, I thought it was light enough to drive without the headlights, but Shannon was clearly concerned! In the distance, there was a fabulous lightning storm further up the road, but it really didn't provide much or steady illumination. Sometime after 9 p.m., I turned on the headlights, but they did not give much light – in fact, there was barely a glow out in front of the car. But we didn’t have to worry about this very long – as we swooped around the curves and over the hills near Waitati Bay, the engine quit without any warning, about 15 miles from Dunedin. I had just come over the top of a low hill, so easily coasted at speed for a few hundred yards to a small commercial setting on the left side of the road, under the canopy cover of a closed convenience store. Barry had loaned us Marguerite’s phone, but the auto-dial wasn’t working and I did not know his cell number. So I called his home number and listened to the recording twice before I got it fully copied. But there was no answer when I dialed it, as the phone’s battery was low on power. Just then, a pickup truck with a young guy stopped and asked: "What do you need?" I explained the car battery was dead and we wanted to contact a friend driving up behind us. He made the call and left, barely getting thanked. About 10 minutes later, Barry pulled in with the race trailer and he and Greg swapped in a battery from one of the race cars. Handy! We set off again, planning to stop for the night in Omaru, about 20 miles north on Highway 1 – Barry would continue to his friends in Pleasant Point, near Timaru and the races on Friday. It was a short drive, but our cruise through Omaru was very frustrating – every motel or inn showed "no vacancy". As we got to the north side of the city, Barry suggested I remain with Greg in the Frazer Nash while he drove with Marguerite and Shannon to look for a place to stay. We waited about an hour. Barry returned and led us back through Oamaru, up a steep hill and into a very nice B&B, the Bon Accord on Oakleigh Crescent street, hosted by a couple long-ago from Scotland. John put our battery on a charger in their garage and we finally were in bed by 11:30 or so. Our hosts, John and Sheila, confirmed there had been a great electrical storm just off the coast. The next morning, we had a hearty breakfast, put the battery in the car, noisily started it up, warmed it up and headed down the hill and up the road to Timaru and the race track. Of course, I had no idea where the race track was, but felt better after seeing a sign as we entered the town announcing vintage sports car races that weekend. No further hints of the track location as we entered the fairly busy commercial section of town, but we luckily spotted a white Aston Martin DB6, which we were pretty certain to be Charles McCabe’s car – Barry’s customer who would be racing a Cooper Norton. Sure enough it was and we followed Charles and Gail to the Timaru track. It was fairly distant from town by the airport, and without Charles, finding it would have added at least a half-hour to out day. 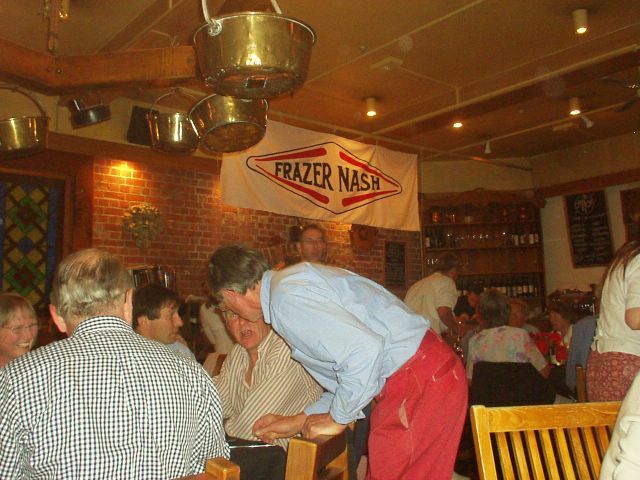 Jet-lagged raiders assembled in Auckland --- cheered by the news that Joey Farmer is to join John Aldington as Joint Patrons of the Frazer Nash Section. Celebrations assisted by Joey's 2 cousins living here in NZ. 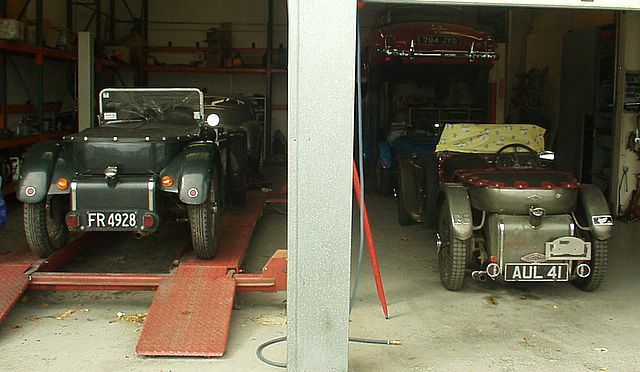 Raid left Auckland 10th Feb - 22 chain drive cars, 4 BMWs, 6 Post war cars and 2 Bugattis. Ann Bickerton has escaped from hospital in Bristol and is here with us. Des Donnan sadly non-started due a bad back. We believe Leslie Murray is in the country but no-one has seen him yet. Weather very hot (around 32 degrees C ) resulting in some very hot Nashes, Adam Gentili blew a head gasket yesterday with serious damage to the head - welded in Tauranga and back on the road now - fingers crossed! 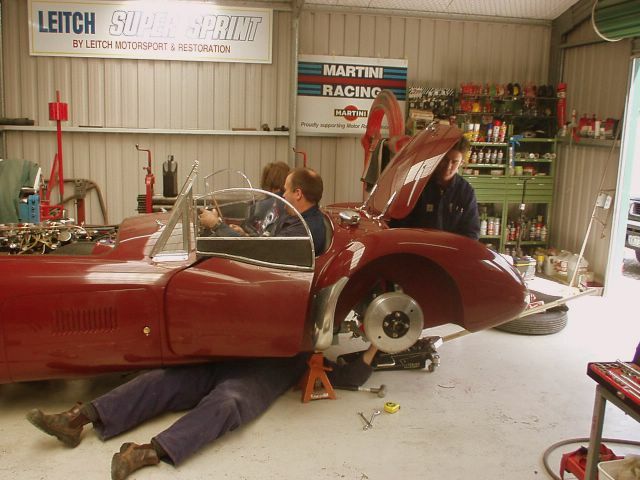 Ralph Bennett achieved major clutch re-build on PowerPlus car at the roadside. Boiling mud geysers and a fantastic Maori welcome in Rotorua. Watch for further bulletins in the next 2 days. 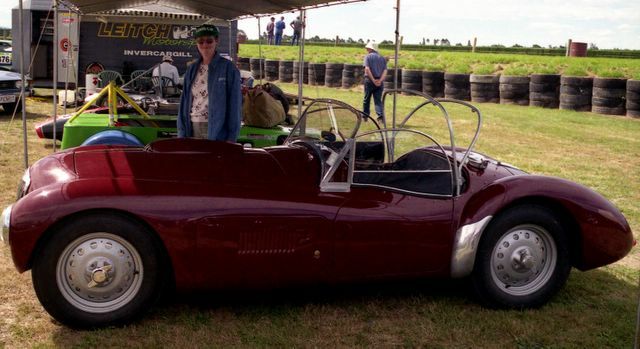 We watched some of the practices, Barry sponged off the Frazer Nash, then Barry and I set off for Temuka Auto Electrics about ten miles away. Barry’s electrician subcontractor had arranged for the regulator to be fixed. Some testing and adjustment later, the regulator was pronounced "OK" for the trip, so we returned to the track. Just after getting back, we set off to lunch at Simon Dorman’s house in Pleasant Point, just a few miles away. It was a great meal. We stayed only a short time back at the track, made our farewells to Barry, Marguerite and Greg, then headed to Christchurch about 2:30 pm, still hoping to get to the Raid BBQ. It was a nice drive and the Frazer Nash was running fine, but definitely more traffic as we approached the city. Luckily I spotted a sign for the airport and we soon were in Russley, supposedly near the hotel. We were closer than we thought, but it took about ½ hour more of driving and several inquiries before we pulled into the Russley Hotel parking lot, where we spied our first Frazer Nash about 5 pm, but this car and its owners were not going to the BBQ. More delay – we were part of the Raid's big reservations mix-up and were shunted to a downtown Christchurch hotel, the Fino Cassementi. But a package from the Raid was waiting for us at the Russley and we finally had a few event details. By 6 pm we were checked in to the hotel on Kilmore street. I then surprised Shannon with the news that the BBQ was still in the plans! After our long day, I’m sure she expected to have a peaceful evening near the hotel, but she agreed to this jaunt with a slightly pained expression. We partly unpacked and tore through downtown Christchurch traffic, headed south through Cashmere and Governor’s Bay. Another surprise – there was a very large hill between Christchurch and Governor’s Bay! 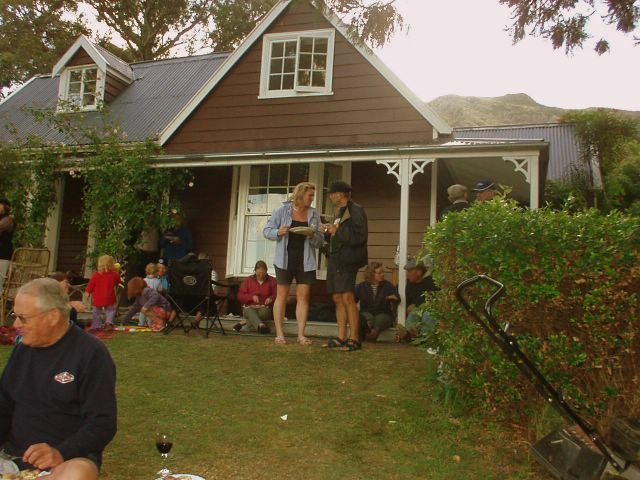 It was a steep, twisty drive up and down the road to Governor’s Bay – we had no detailed directions to the location of the BBQ, except the name of the house, "Waitahuna". As we neared the bottom of the hill, I looked at the stone entry post of the first house and there it was – we turned around, headed down the driveway and were greeted by the sight of many pre- and post-war Frazer Nashes. A great moment - we had actually "joined" the Raid! From Taupo, the Raid moved south past the beautiful lake and up into the mountains for a quick ascent of Mount Ruapeha. At this point the raiders had their first experience of unsealed dirt roads and some delightful motoring on a largely deserted route. 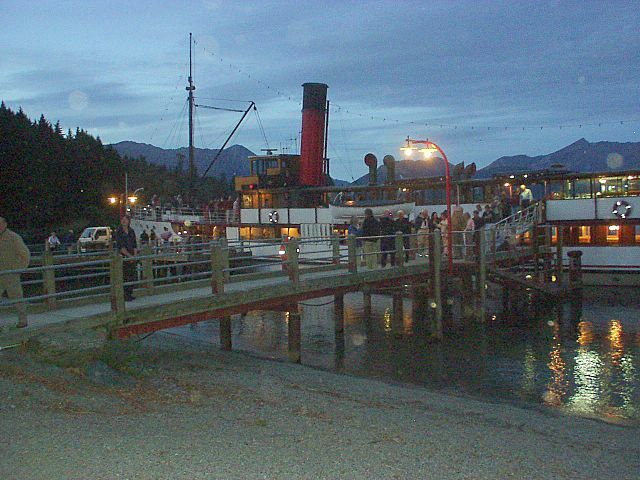 An evening trip on the paddle steamer Waimaraie ended a splendid day, with all cars in good shape. Wellington next day and a fairly tranquil crossing of the notorious Cook Strait. John Teague’s Meadows suffered a deranged pushrod, comma but he managed to make it on 3 cylinders to the fantastic lunch at Ngakuta Bay, on the shores of the stunning Queen Charlotte Sound, where we were welcomed to the South Island by Gavin Bain and Arthur Gibson, who has a house there and is also the local mayor. 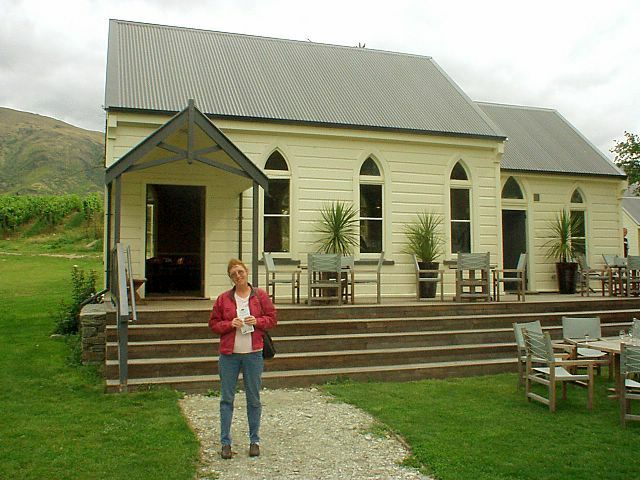 A scenic route led to various wineries and on to Blenheim, where the Teague pushrod was re-fettled. The following day saw us on the East coast, observing whales and a seal colony, followed by a fine Nashing road upto Hamner Springs. The next day saw some drizzle on the way to Christchurch but then more sunshine and back to the Sauvignon Blanc. We had arrived just as second servings had started, so filled our plates, cadged a glass of wine and chatted a bit with a few of the Raiders, all unknown to us. We then viewed the cars, took a few photos and heard stories of the Raid to this point. Not wanting to chance the unknown road up and down the hill in the very dark, we left the BBQ with a bit of light remaining and made our way back to the downtown hotel uneventfully. At the BBQ, we heard that many Raiders were speeding up the schedule and leaving the next day, Saturday, for Hokitika, rather than have a much longer single day drive to Fox Glacier on Sunday. But we wanted to see a bit of Christchurch, so decided to stay with the original schedule. Still another surprise – the Fino Cassementi was fully-booked for Saturday, so we’d be moving back to the Russley the next day. Too much monkey business! With many Raiders leaving Christchurch on Saturday, I had to make an early morning trip to the Russley hotel with Shannon’s suitcase, for loading on the luggage van to free up our trunk (boot) space. After a map study, I had finally figured out the better route from downtown Christchurch to the airport-area Russley and the round-trip was a snap. I also confirmed our later arrival at this hotel. On to sight-seeing – we had breakfast, walked through the Avon River park, took a late morning punt ride, rode the tram, visited the art fair and the art museum. By late afternoon we had left Christchurch central and were enjoying beers in the pub adjacent to the Russley Hotel. No Frazer Nashes or owners were in sight, so we had a buffet dinner at the hotel, planning for an early departure on Sunday for the West Coast. There was very little traffic on the outskirts of Christchurch as we gassed up past Yaldhurst and drove up highway 73 through Arthur’s Pass. Not many miles passed before we saw the wide valleys and mountains, went through many single-pass bridges and had several climbs and descents before making the grade through Arthur’s Pass. The Frazer Nash was doing fine in the climbs, but would have an occasional "stutter" that came and went during the whole trip. We stopped for a break at the park headquarters and took the best "car" photo of the trip. 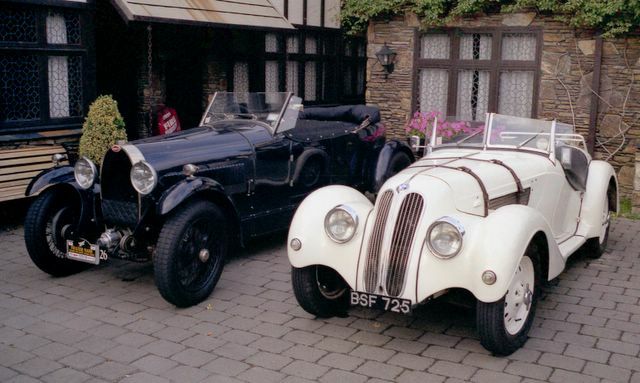 We did not spot a single Frazer Nash until we saw Michael Parr and his Frazer Nash-BMW at Jackson’s Pub, probably for noontime tea. As soon as we passed, I thought we should also probably stop, but we pressed on to highway 6, the west coast and the small town of Ross, about 165 miles from Christchurch. 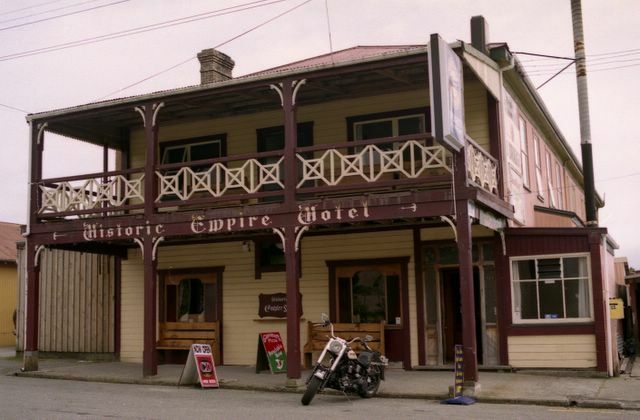 We had passed through Hokitika, a larger town, but a short detour from the main road in Ross landed us at the Empire Hotel, a very old and picturesque lodging and pub where we had a great hamburger lunch and again discovered the (strange for us) custom of putting beets on the burgers. Shannon thought it was in lieu of pickles, but this remains a mystery to us. 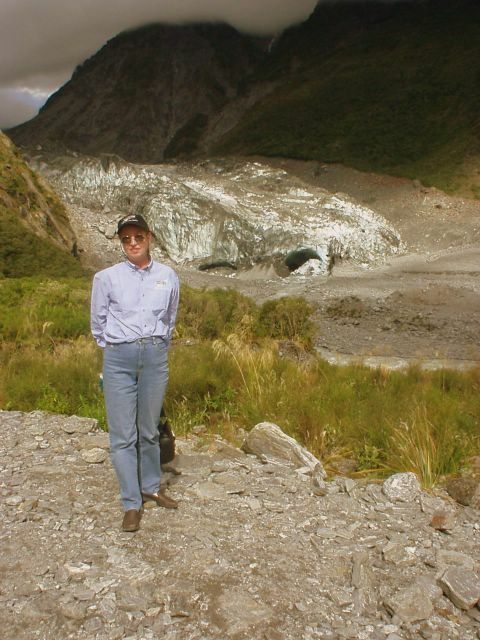 There were two stages yet for Sunday's travel – one to Franz Joseph (and its glacier) and then to Fox Glacier. We passed the well-developed tourist center in Franz Joseph, planning to spend more time at the Fox Glacier visitor's center, but the town of Fox Glacier was much smaller with no similar facility. Not too small to get lost however, and the Sunset Motel was easy to find if you knew where to look – just a half mile off the main road. After checking in and admiring the few other Nashes – and a Bugatti - in the motel parking lot, we left on a 5 pm bus tour to the glacier. It was only ten minutes to the Fox Glacier parking lot and a similar walk down to a good lookout – we probably should have continued on to the glacier face, but our energy level was not high this late in the day, so we enjoyed the great views. We hopped off the bus in the main section of town and had a great dinner at the Plateau Café – this day was Shannon’s birthday to celebrate! After a short hike back to the Sunset Motel, we found a note on the door from Michael Parr, inviting us to meet him for dinner at the Plateau Café! Crossed signals/paths - the dinner would have to be another time. On Monday, February 21, we made another fairly early departure in the cool "temperature rain forest" air towards Haast – only 15 miles on the map. The car started right up and got well-warmed up before taking off. Just a few miles down the road, we saw Ralph Bennett flashing a red card, meaning he needed assistance. Ralph told us he seemed to be close to running out of gas and asked us to take his gas can to the station in Haast and return, as he continued on. Haast seemed further than we thought and the 15 miles shown on the map, but finally we found a small group of Nashes at the gas station, checking out a dodgy magneto in one. By the time we tanked up and filled Ralph’s gas can, he came motoring in, having received gas from another Raider. 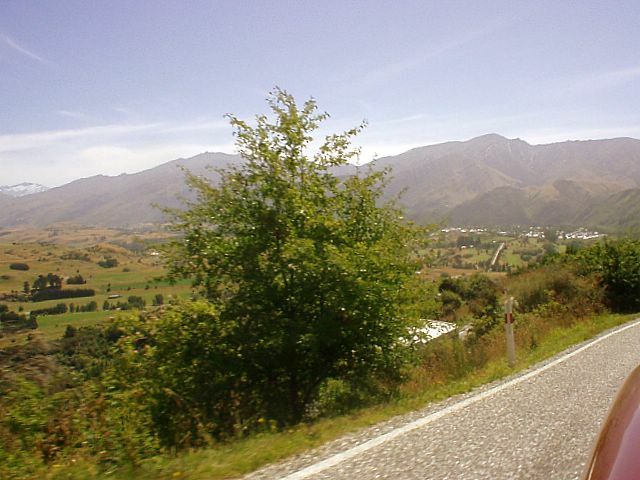 So we set off up the Haast Valley, about 80 miles to Wanaka, the next major town. 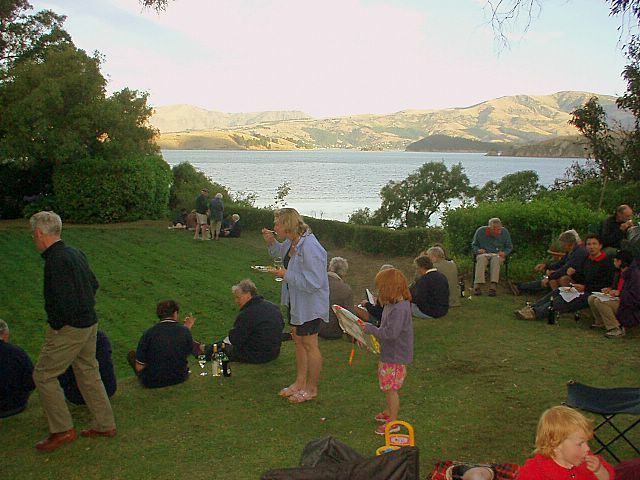 It was a lower pass than Arthur’s, and the close-in mountains and forest eventually gave way to vistas of Lake Hawea and Lake Wanaka, with a narrow road on the steep shore that could pass for a road on a deserted Adriatic coast. We stopped for lunch in Wanaka and then headed through town to Cardrona, reported to be the highest paved road in New Zealand. 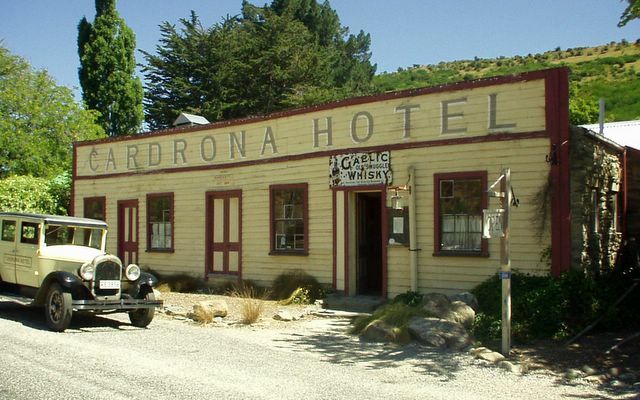 It was mostly a fairly serene drive through barren terrain until we got to the Cardrona Hotel about 2 pm, where we stopped in their pleasant courtyard for a soda. After this, the road climbed a bit, but there was little drama until we started on the downside – the view to the valley far, far below was quite a surprise. I was a bit apprehensive, as the brakes were now past "bedded in" and would benefit from an adjustment. So I stayed in 2nd gear through the many hairpin turns and the steep descent, bringing us to Arrow Junction and in the homestretch to Queenstown, a total of 45 miles from Wanaka. 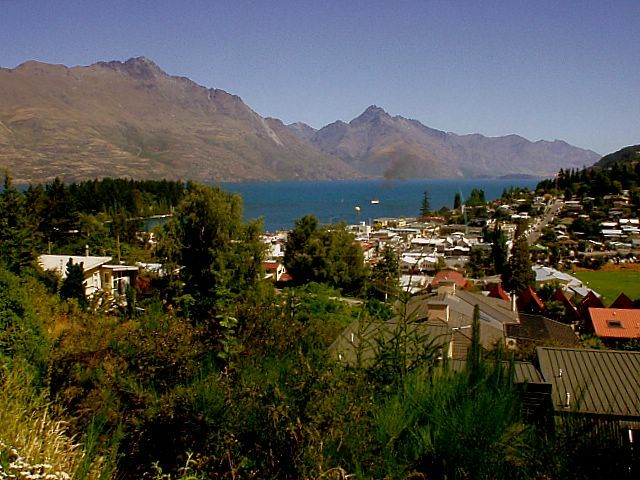 As we drove along the lake shore to Queenstown, the amount of new construction was a surprise. Needless to say, we had no idea where to go when we got in to the town – supposedly to the Heritage Heights apartments on Andersen Heights road. 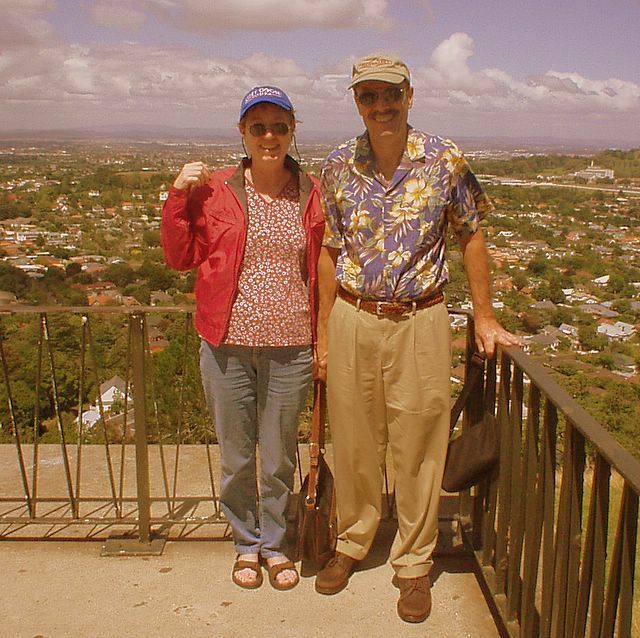 We stopped in the center of town and an art gallery owner pointed us – to the heights! It was a short but steep climb up the road – how the luggage truck made it was a mystery. We were early arrivals and learned their new construction had not yet been inspected, so we would be shunted down the hill to the "much nicer" Glebe Apartments at the same price. We’d be sharing an apartment with Terry Rogers. We did enjoy the great view from the Heritage Heights. Not too many wrong turns later we pulled into the cool Glebe garage and got settled in a very nice apartment. Very shortly, we set off on foot down the hill to see the town. It was a busy place, obviously geared to the "action tourist", with numerous opportunities to sign up for bungy jumping, white-water rafting, jet boats, para-sailing, etc. But this trip was intended to include restorative periods for Shannon and me, so we walked all over the city, visiting the gardens, pubs, harbor, shopping venues and Internet cafes. 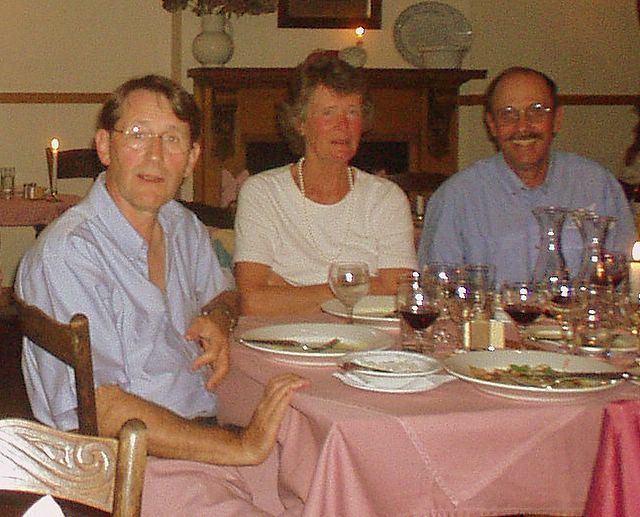 We had great dining, including another birthday celebration with Jim and Eileen Trigwell, Tom Threfall and Di. 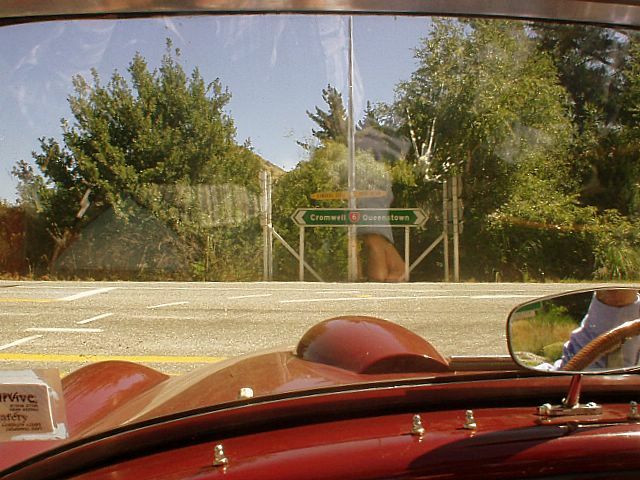 We only took the Frazer Nash out to visit Arrowtown. The Raid had an evening cruise on the steamship Earnslaw to Walter Peak Station, where we had dinner and a sheep herding and shearing demonstration. We also had a BBQ at the apartments with more than 20 other Raiders. Our "adventures" included a sky-tram trip up to Bob’s Peak, where we did try the street luge – great fun! And we took a bus tour to four nearby wineries. 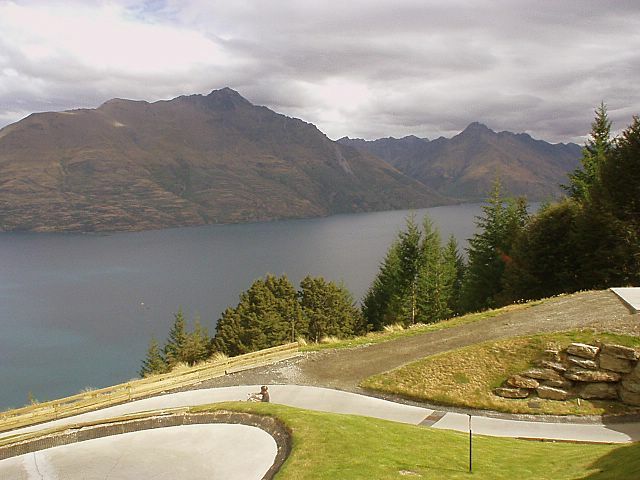 We only lacked a pool at the apartment for perfect relaxing, but Queenstown was a nice break. On Friday we left the Glebe and Queenstown, stopping just out of town to gas up. 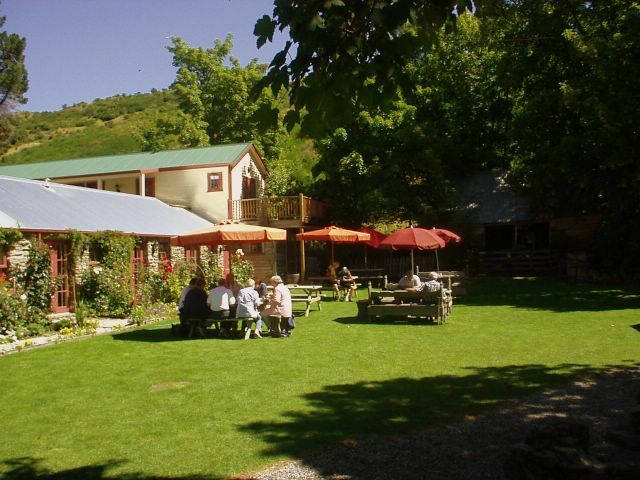 We drove up highway 6 past the wineries we visited two days earlier, through hills and valleys, stopping for a scone about 10 am in the new section of Cromwell – just 40 miles down the road. 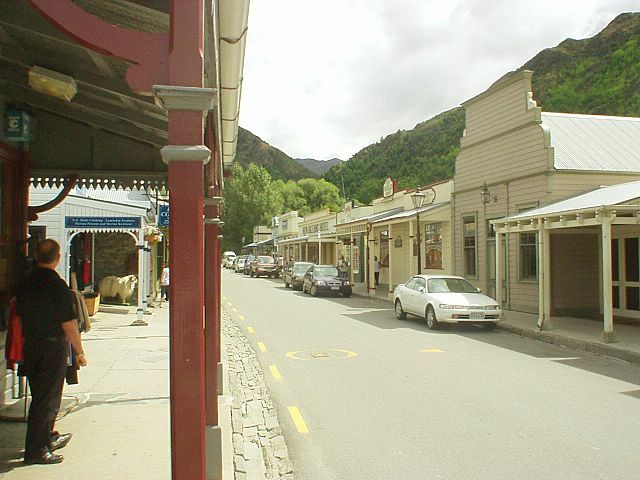 It seems part of the original town was under the Lake Dunstan after a dam was built! 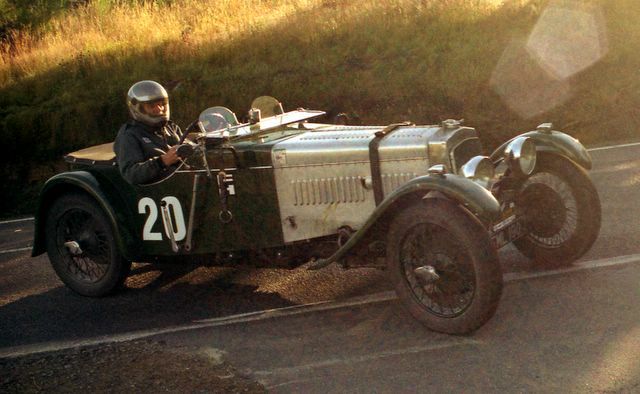 The Frazer Nash was running well – always with a very throaty exhaust. We hoped for continued good running, as there were black clouds in the distance, towards Dunedin. We continued on highway 8, took a shortcut over to highway 85 and continued through the great scenery to Ranfurly, about 75 miles further on, arriving just after noon. 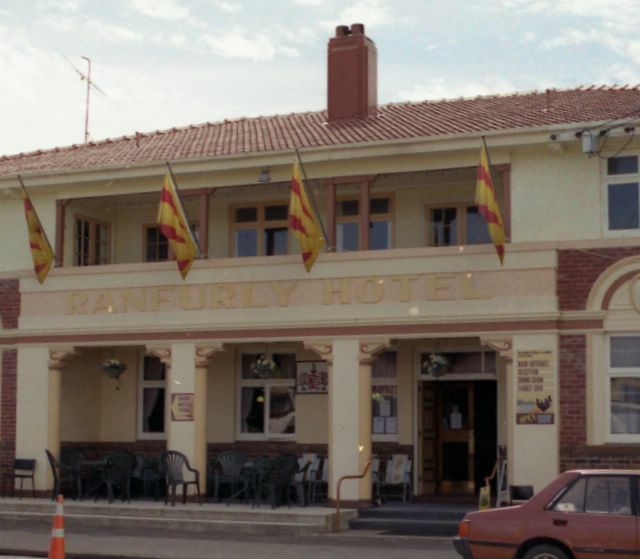 It was a surprising little town, with a high proportion of "Art-Deco" styled buildings, including the Ranfurly Hotel. Indeed, our arrival coincided with a 3-day "Rural Art Deco" festival, as flags on the lampposts stated. The hotel dining room was expectedly "Deco-ish", so we had a small lunch and explored several shops, including the Centennial Milk Bar. 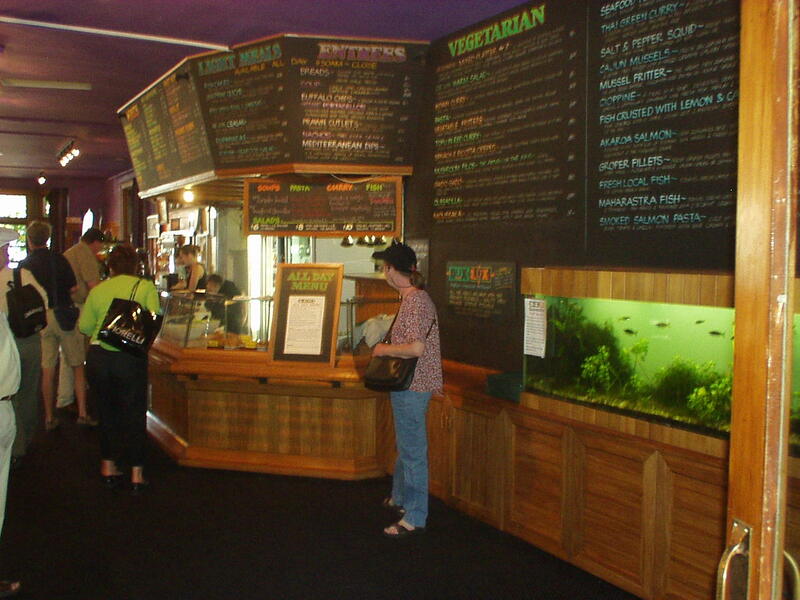 No longer serving up beverages of any type, but rather it is now the town's Art Deco museum – a great place to visit. By 1:30 we were on the last leg of the trip to Dunedin. The distant clouds looked even darker, but we motored noisily through the countryside, stopping 30 miles from Ranfurly in Middlemarch to top up the gas. We got a few sprinkles of rain, but from Middlemarch it was less than 50 miles to Dunedin, through its large suburban, neighbor town of Mosgiel. The Raid paused for a day in Christchurch, with a trip out to Akaroa, on the Banks Peninsula --- some very exciting motoring on dirt roads with fantastic views. There was most fierce sunshine for the long haul over the Southern Alps via Arthur's Pass to Hokitika and Fox Glacier. Miles of superb Nashing roads --- traffic free with fantastic scenery. 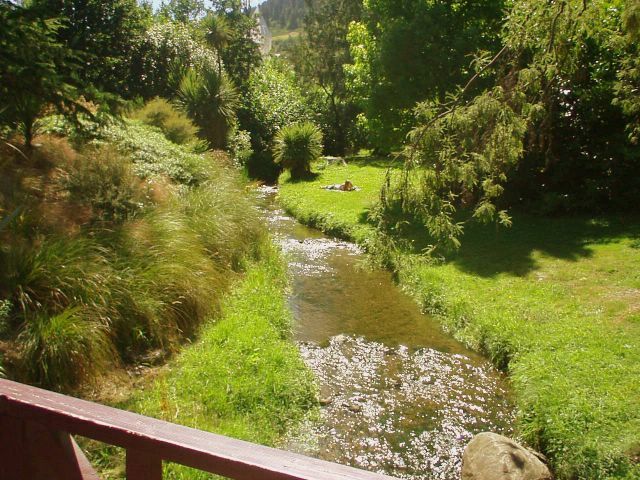 Finally arrived at Queenstown for four days of relaxation --- jumping off bridges, jet boating, white-water rafting, steamer trips and exploration of local roads, including the notorious Skipper Canyon, described by Mike Bullett as 22kms of Drumhouse!! All cars now running well, with only the occasional resort to the welding torch. As standard on this trip, we were up and down the main streets of Dunedin, sometimes puzzled by the one-way traffic, until we found the Scenic Circle hotel on Princess Street. It was a good thing – the extensive, slow city driving pushed the water temperature to near 100 degrees C, the highest observed on the gauge. Luckily we found the "secret entrance" to the below-level parking garage and joined about 10 other Frazer Nashes there. We rescued our bags from the luggage room, threw them in the room and set off on foot to explore the city. 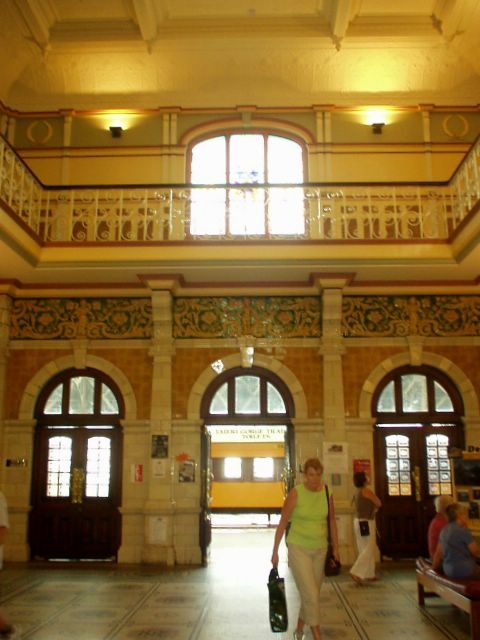 We found our way down to the "Octagon" and then to the Law Courts and stylish Railway Station – both beautiful buildings that would have looked even better on a sunny day. It was too late in the day for either the Cadbury or Speight’s brewery tour, but early enough (5 pm) to miss the dining crowds at the adjacent Alehouse restaurant, where we had great beer and dinner. We walked back to the Octagon just as an outdoor concert was finishing up - a great end to the day. Up early the next morning, breakfast at the hotel and off up the hill "behind" Dunedin to find Three-Mile Road and watch the hillclimb. We had only one false turn and a few miles up the road, we ran into barriers on the road, marking the upper end of the course. The workers let us through to go a little further and park on the shoulder to watch, a hundred yards or so down the road. Or was it up? 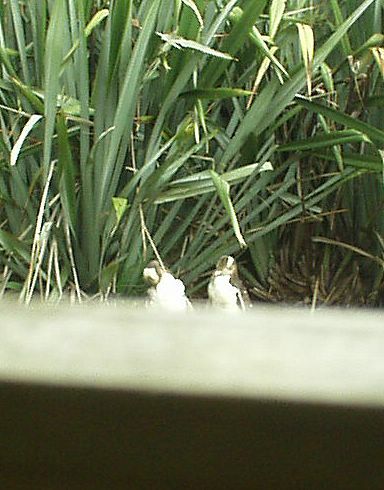 We had a nice perch on a rise, with a few other workers just beyond the turn-around point. Except for the unknown insects, whose bites we didn’t discover until later! We watched the runs for an hour or so, fiddling with my SLR's tele-extender. Photos with this setup were not great. We snapped a few Frazer Nashes and the Curtis. We were on the hill until 11:30 and had a little scare as we walked back to the car when one of the racers continued way past the finish line at full throttle – guess it was a "speed"addiction. 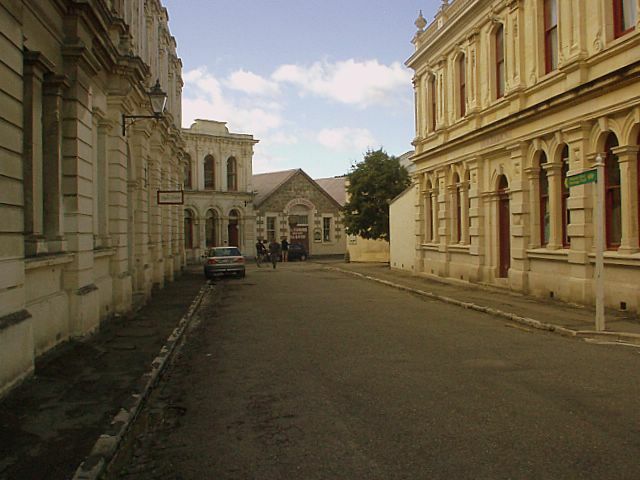 Took a few photos and then headed back to central Dunedin. 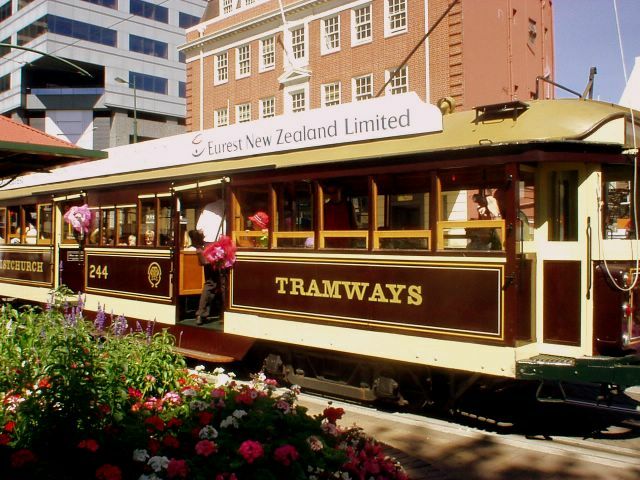 We walked to the Cadbury tour, but were again too late, so Shannon signed up for a harbor-albatross-penguin tour and I hiked down through the shopping district, to the Otago Museum – very nice – and to the far end of the city, where I left a note for Barry at the Commodore motel. We drove back to the Commodore and met Barry and arranged to meet at the Albert Arms for dinner. This was a great, old-fashion Scottish-style two-story pub. We had fine beer and rump steaks. 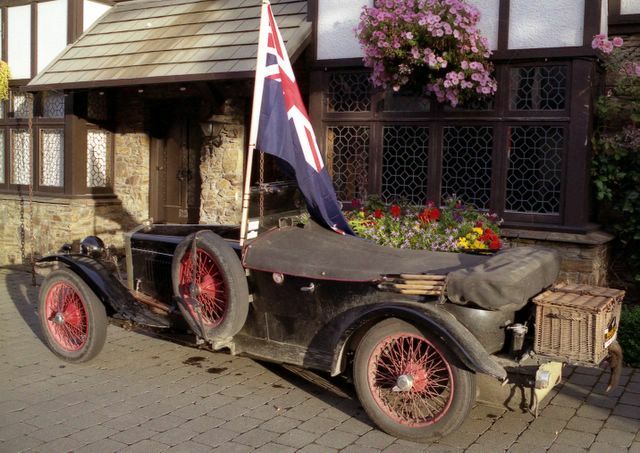 The Frazer Nash, left parked on a main street, was unmolested and brought us noisily back to the hotel late. Sunday was the Southern Festival of Speed street races, just a half-mile straight down Princess Street. I drove down by myself early (7:30 am) and again got through the barriers and found Barry’s "pit" sheltered in the forecourt of an electrical supply shop on Crawford Street. I put the Frazer Nash next to the store entrance, to be part of Barry's pit "display". 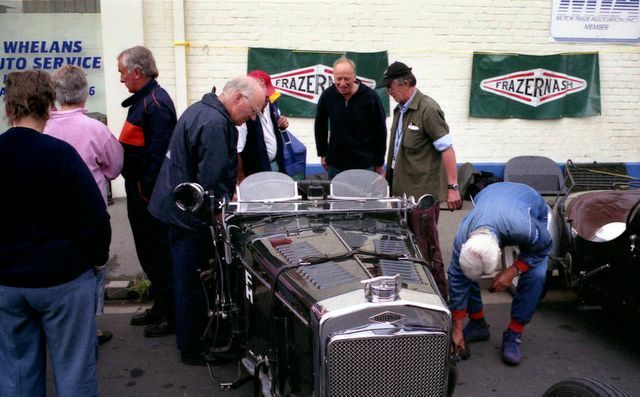 I walked through the "pits" in the nearby streets and found the Frazer Nash "paddock" on Jervois Street, just a block away. 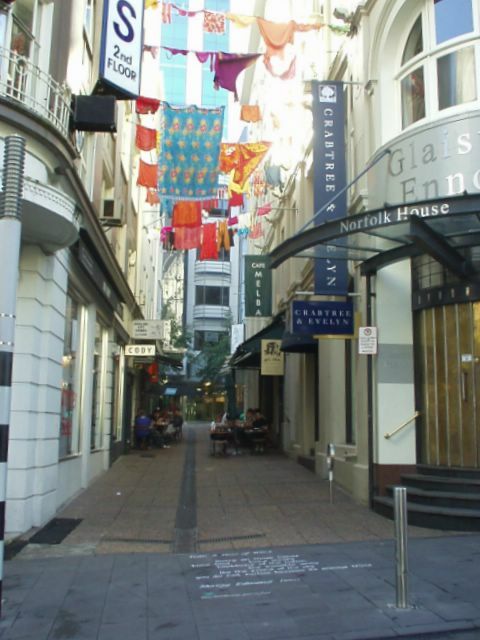 It was an easy walk up Princess Street to pick up Shannon – after breakfast – and back down to the races. We saw many cars on the grids and on the streets and took many photos of the racers. 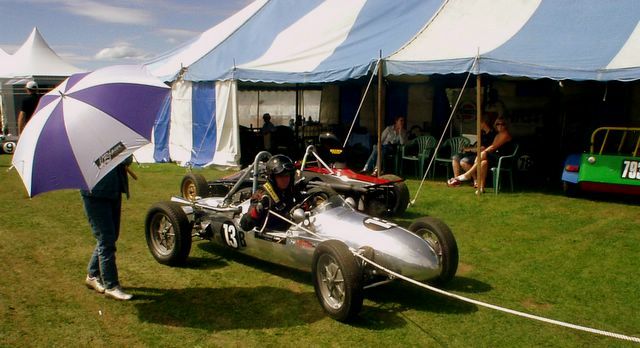 Barry was racing his Leitch Super Sprint and his customers also had cars entered – Charles McCabe with his Cooper-Norton and Don Nelson with a Brabham BT21R. Just after noon, we joined the Frazer Nash picnic, in a small park adjacent to the course, but the rains came. So we went to Barry’s covered "paddock" and had lunch there. When the rain stopped and racing resumed, we walked along the course to see the actual races, but never figured out how to get to the infield bleachers – and vendors. 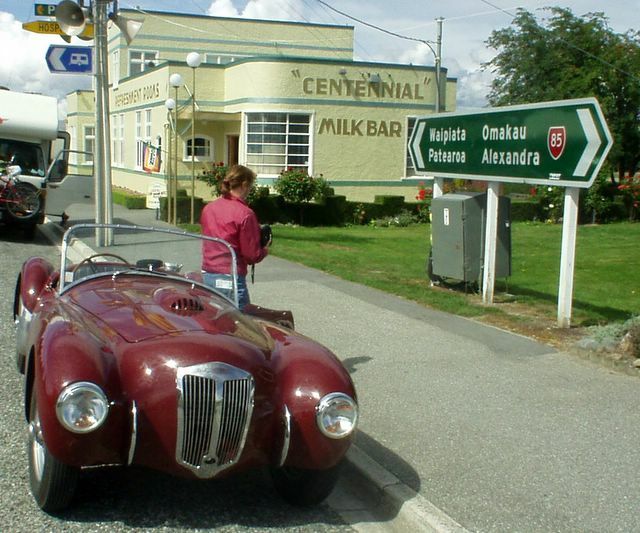 The races wound down about 5 pm and people and trailers were leaving, so it was time for final photos and to get Greg Hunter on his way, to drive the Frazer Nash back to Invercargill. 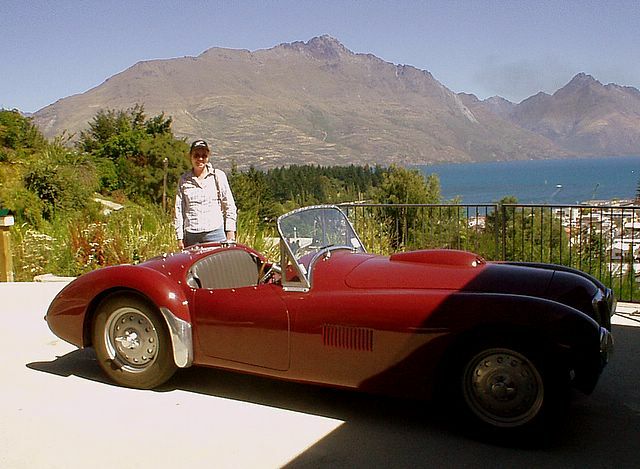 Yes, although we were leaving New Zealand in two days, the car was staying for our next visit! But the old girl just did not want to leave – it would not start! I probably flooded it on the first try and nothing would get it going until we roped it behind Barry’s trailer for a pull-start. Even then, it took several attempts and a bit of running before the engine smoothed out and Greg drove off. My last look at the odometer showed we had gone 1200 miles since leaving Invercargill – just about right for a break-in distance. We walked over to a nearby athletic club to watch some of the post-race awards, made our farewells to Barry, Marguerite, Brendan and Damon and then walked back to the hotel. 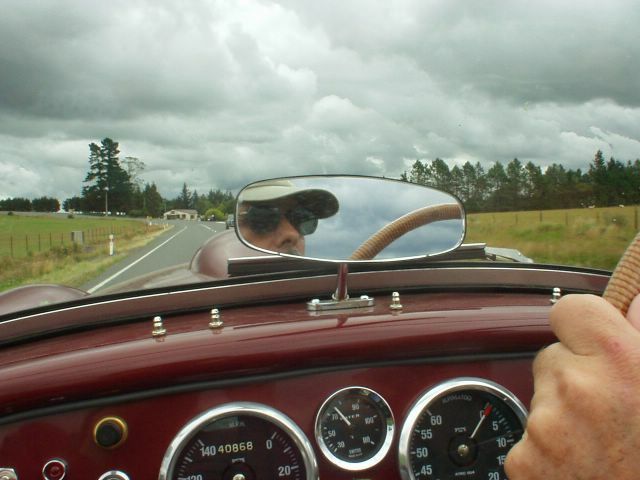 The driving experience had been great - I really liked the 100 km speed limit for all New Zealand roads and seldom found the Frazer Nash "needed" to go faster. We climbed all the hills easily, sometimes dropping down to 3rd gear, maybe once or twice to 2nd. We made most of the descents in 3rd - and sometimes 2nd when the brakes had gone past "bedding in". The exhaust sound was perfect - Barry got this exactly right. New Zealand drivers were good and courteous - no tail-gating that I can recall, but I tried to get on the shoulder and let any driver by who wanted to go faster than me. The only incident of bad driving happened in Christchurch, as I stopped in a street to let an older woman across and a driver blazed by me on the left and nearly hit her. I was surprised that pedestrians seem to be mostly ignored by drivers in the cities. 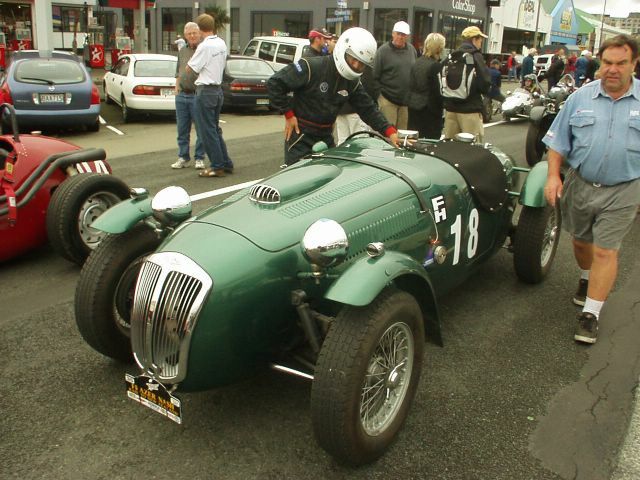 In all respects, the Frazer Nash was MORE fun to drive than I expected, even after waiting 29 years for the experience! It was comfortable, handled and steered well, had good acceleration and sounded like a sports car that really wanted to go racing! And the work on car was great - so much done in so little time! Among other details, the retractable shoulder-belts that Barry had installed worked just as in a modern car and looked like a "factory" installation. The top, frame and side-curtains also looked "original", but probably sealed "just as well" as in 1952! Just a small amount of spray through the top edge and some outward bowing of the side-curtains. 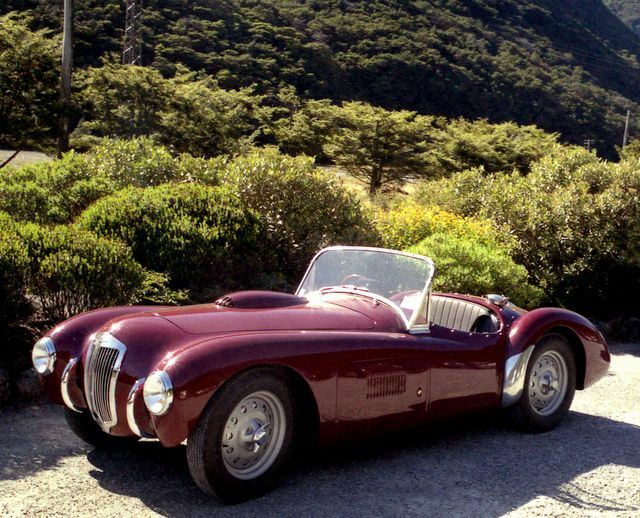 A little more driving and development and the Frazer Nash will be better than original! 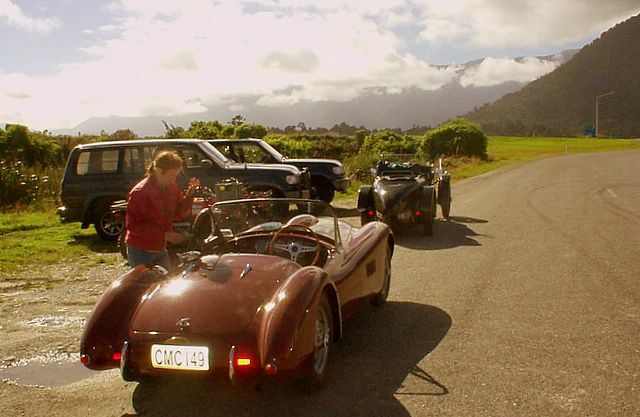 Without a car and in need to get to Christchurch, we hunted up Tony and Angela Forester, who were on the Raid in a rental car following Tony’s off-road excursion as a passenger in a borrowed Frazer Nash near Christchurch. 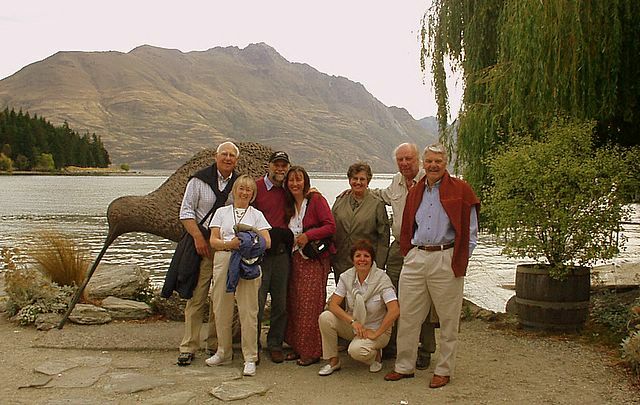 They graciously agreed to take us up to Christchurch and the trip – even in a "modern" – was great fun. We stopped to see the Moeraki Boulders, the old historic district of Oamaru and the Oamaru Auto Collection, a nice small car museum in one of the old limestone woolen buildings. We continued up Highway 1, through light rain, and stopped just about 30 miles from Christchurch to stay with the disabled Frazer Nash of Trevor and Marjorie Tarring, thought to be a bad magneto. The AA was called, but it was more than an hour before Angela convinced them to send a transport down and take the car to the final Christchurch destination. Finally the car was loaded on the transport and we were at the Cotswold Inn, the final Raid destination. The Inn was picturesque – a suitable setting for all the cars that had made this final leg. I did not count them, but probably more than 20 were assembled. 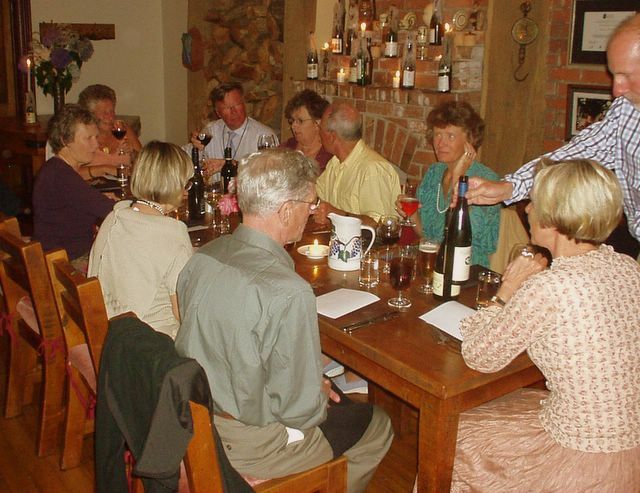 The evening was the finale, a banquet at Annie’s Wine Bar, near the Art Center. No driving needed, busses had been arranged. 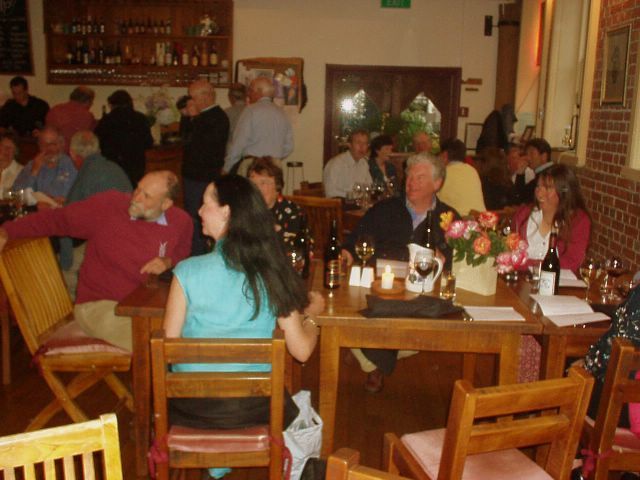 It was a great location, with much wine – purchased by the bottle – a few speeches and much singing. As during the entire trip, we both wished there had been more time to get to know all the club and Raid folks – they surely know how to have fun! All over too soon, but we had the good luck to be seating next to Bill Clarke, who offered a tour of Auto Restorations the next day. We took more photos of the cars before they left for the shipping depot and heard a few great stories about the side trips – one Raider team drove 2400 miles during the three weeks – exactly twice as far as we did. 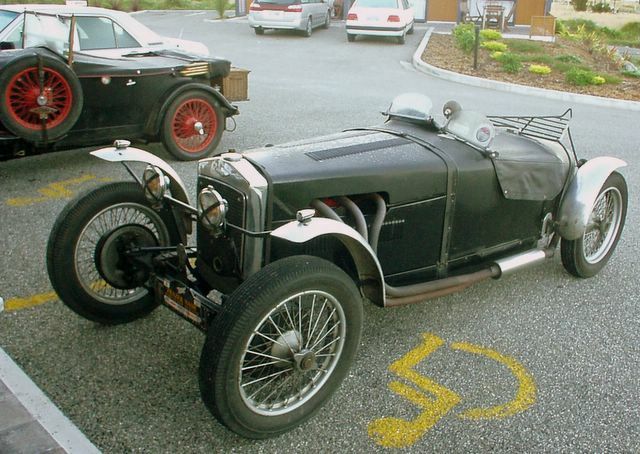 We also heard another Frazer Nash crew went to Bluff, making it more "southern" than my car had been in Invercargill. However, it's likely the southern-most Frazer Nash currently. 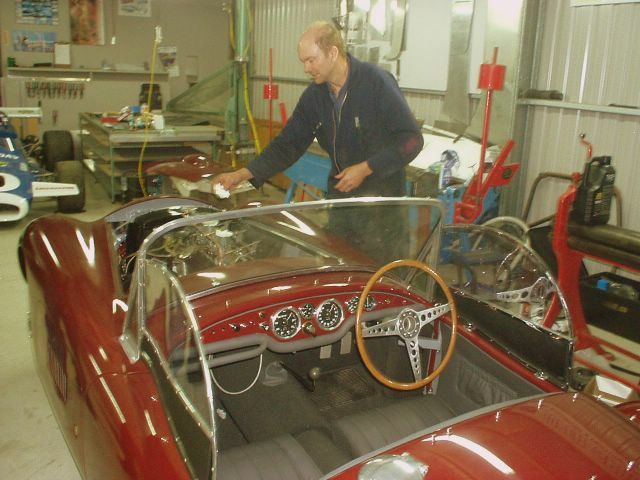 Bill came by the next morning in his Ferrari 400 and took us down to Auto Restorations, where he had been a founding partner. It was an extensive facility with new construction just being laid out. Many interesting projects and great cars – their reputation for high quality is very well known. Bill took us to central Christchurch where we visited Fazazz, Gavin Bain’s business (and Raid sponsor) which sells books, auto memorabilia and cars! The building and location are great and my time there was very enjoyable – Shannon went off shopping nearby in this downtown district and I got a complete fill of "Fazazz-ness". Leaving the fleshpots and excitement of Queenstown, the Raid set off east and then south through the most impressive countryside. An early casualty was Adam Gentilli, who broke his countershaft. The Nash was dispatched to Christchurch via the AA and the occupants continued on to Dunedin by modern. The weather was getting colder with rain showers which at least reduced the amount of dust on the minor roads. On to Dunedin by way of several gold towns. Twelve Nashes plus the Johnson Brescia and Leslie Murray's De Dion took part in the hill climb - very much a power hill! Winner of the FN Class was James Trigwell with David Biggins second in Peter Robert's car, Frank Allocca 3rd in his Targa Floria and John Muschamp 4th in his 328. David Ellis in his first competition event ever put in a stunning time but it was brother Robert who eventually took 5th place and 1st chain drive car. 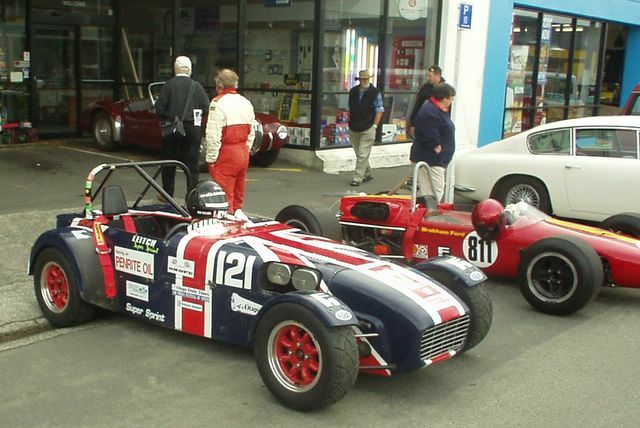 James Trigwell also won the the Nash class in the two races on the Dunedin street circuit although Robert Ellis led him for the first three laps of the second race. Annabelle Jones, Peter Cobb and Andy Johnson were well up. Very hard racing but no casualties. On the final motoring day, the heroes including the Bennets in the PlusPower, the Giles and the Cobbs, covered 316 miles including 70 odd on gravel roads. 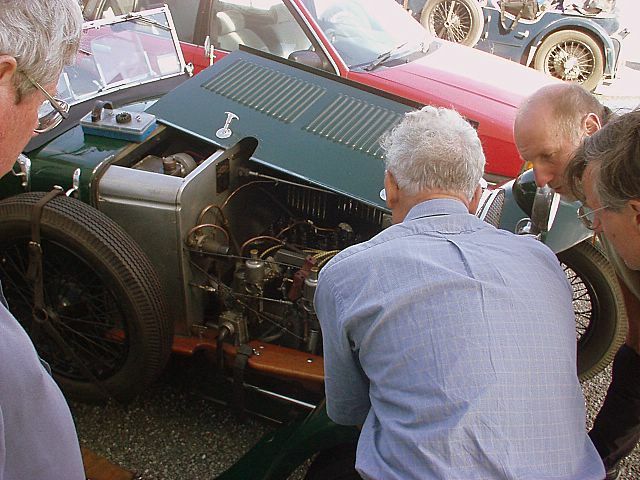 Trevor Tarring and John Sheard ran out of sparks and Peter Cobb split his radiator, but everyone reached Christchurch for a very noisy final dinner. Signing off now. See you all back in the UK. It was then March 1, the Raid was over, and it would be our last complete day in New Zealand, so we continued touring Christchurch, walked back to the Cotswold – not as far as it looks on the maps – took more photos of the last remaining Frazer Nashes, and met Barry for dinner. He was in Christchurch on business, and was staying with his parents, so we joined his father and mother at a nice pub-styled restaurant on the north part of the city and had their special beers and more lamb shanks! It was a great meal and we were glad to see Barry once more, just before leaving.